Willie Mullins will rely solely on Hurricane Fly in Champion Hurdle, as a field of nine will go to post on Tuesday March 10 at the Cheltenham Festival. However, his age should really go against him in the Champion Hurdle as only two have won it since 1951, namely Hattons Grace and Sea Pigeon and they both won it again the following season. Bet £5 and GET £20 on any Cheltenham Festival Race or take 8/1 on The New One (current fav at 11/4) with Paddy Power! Can he make a hat tricks of Champion Hurdles? Ruby Walsh states that he was too free in the first year, a bit flat last year and they could easily be chasing their fourth win had he ridden him differently in 2012 where he finished third. Let’s not forget that he was a firm favourite in 2010, until missing the race due to injury. Mullins revealed last year that he is still irritated with the 2012 loss and hinted that Hurricane Fly wasn’t running well and unconfident that year, when he mentioned that some horses were a bit dead that and they were anxious to work them at home. In conclusion, it might take a career best from Hurricane Fly, who can be backed at 3/1, to win this year to fend off his improving rivals, who look a very talented bunch. That bunch is led by My Tent Or Yours, who was rated the best hurdler at the end of last season and the highest rated novice hurdler at 165 since 2003. He has a similar profile to Rock on Ruby before he won the Champion Hurdle two years ago, where he was the sole Neptune winner in the last 21 years not have been given a prep run. Prior to his Neptune success his trainer commented that The New One might be the best horse he has ever trained and The Neptune might be the best novice guide to the Champion Hurdle in recent seasons, as it has featured three winners and three placed horses since 1995. His fame and reputation rocketed after extinguishing a below par Rock On Ruby at Kempton in October, he then followed up with another win in the International Hurdle. 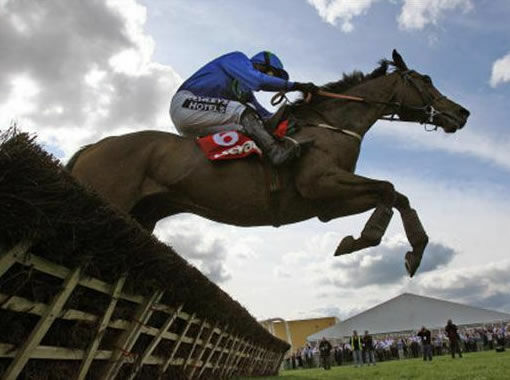 He looks the one to serve it up to Hurricane Fly.